My entire fridge is stock full of fruit. I have always been a big fruit eater but in the summer, when fruit is kinda cheap around here, I tend to really stock up! Big Bear’ isn’t really a big fruit eater so I’m normally trying to scarf it all down before it goes bad but I figure it’s ok since you know….it’s fruit haha. Right now the shelves of the fridge are lined with cherries, blackberries, blueberries, strawberries (well the few that are left anyways), diced pineapple and green grapes. I’ve also go peaches on the counter and a pineapple that’s waiting to be chopped up! Yeah…if anyone wants to come over for a fruit eating party, I’ve got us covered. My just literally can’t stop myself from stocking my grocery buggie full with fruit! 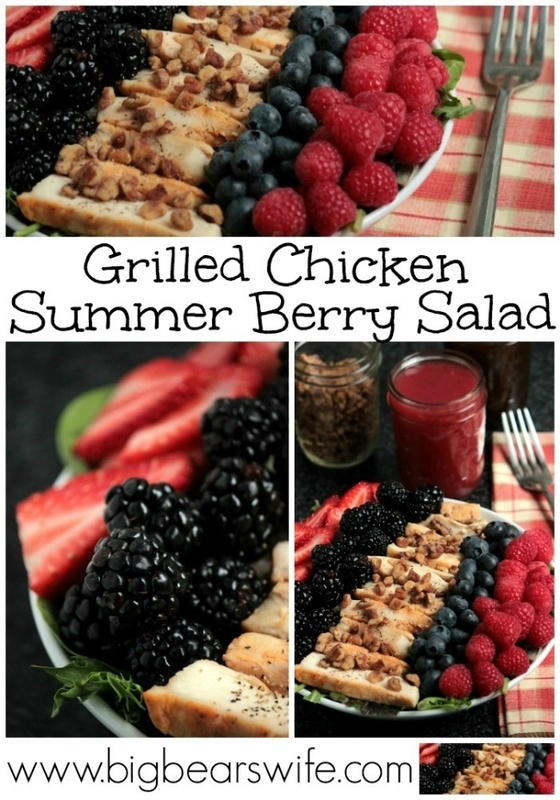 This month’s #12Bloggers theme was all about “Summer Salads”, so I thought that I’d put all of my fruit to work and share this easy, peasy Grilled Chicken Summer Berry Salad for today! 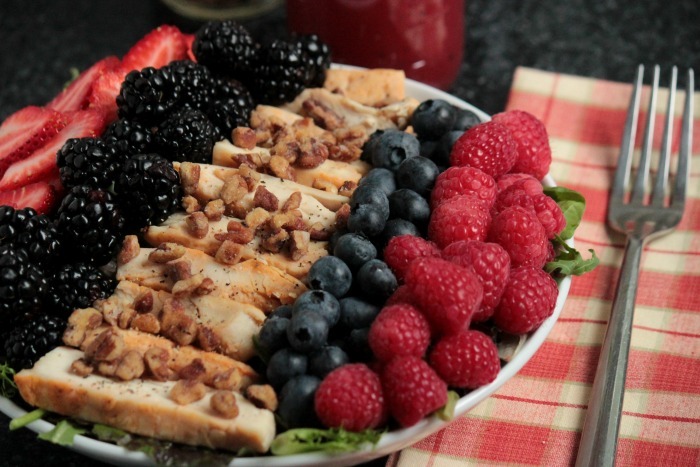 Also, you may be asking yourself….”Why in the world is there so much fruit on this salad? That looks like a lot”. Well, it is. BUT, I’m more of a topping girl than I am a dressing girl. I mean I love pouring ranch onto my salads haha and I’m always up for an awesome Cesar salad covered in dressing but during the summer when I’m not normally eating lots of heavy food, I tend to over do the toppings and use less dressing. DirectionsHeat a grill or grill pan on medium heat. Grill chicken until done. (Should reach 165°F). (For tips on grilling chicken check out this post from SeriousEats). Slice chicken and sit aside. Place 2 cups of spinach and arugula mix into a large bowl. 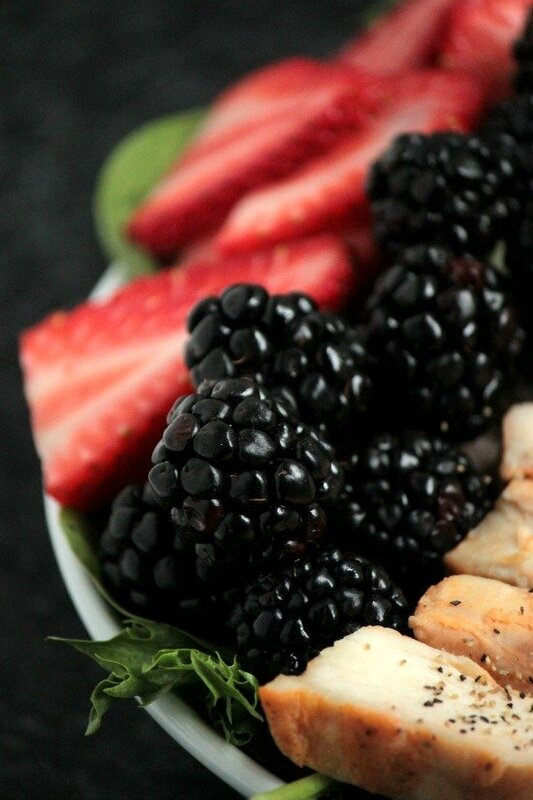 Fill bowl with half of the strawberries, 1/2 cup blackberries, 1/4 cup of the blueberries and 1/2 cup of the raspberries. Do the same with the second salad bow. 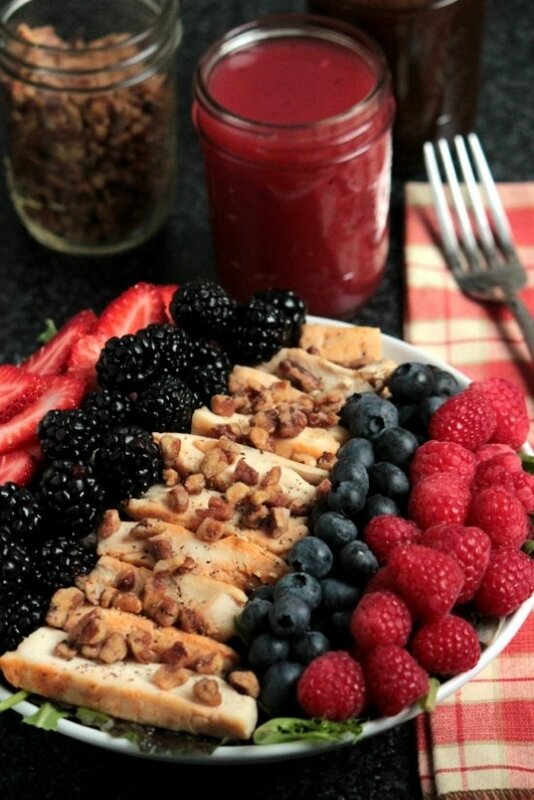 Top with chicken and honey roasted pecans pieces! 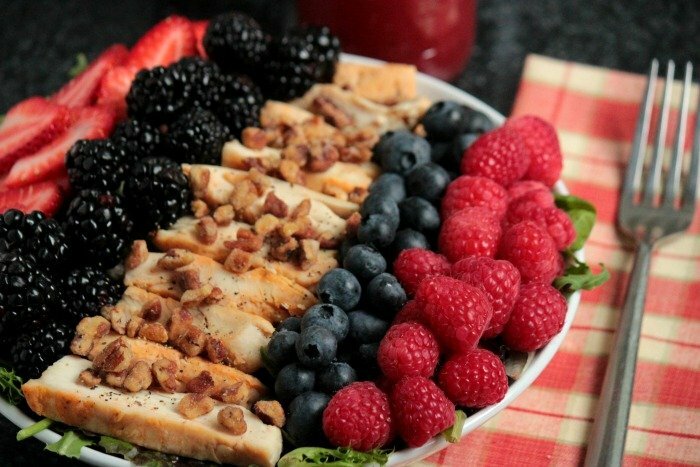 Serve with your favorite vinaigrette! 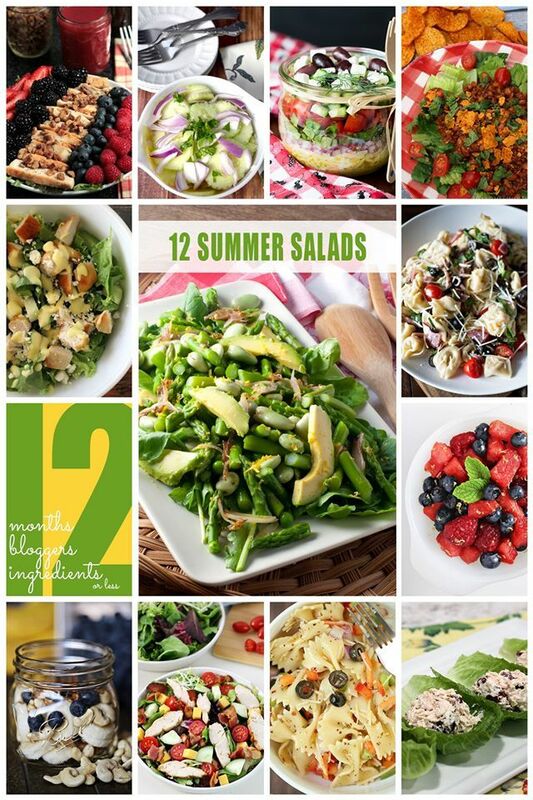 Here’s a few more tasty summer salad ideas from the other #12bloggers!